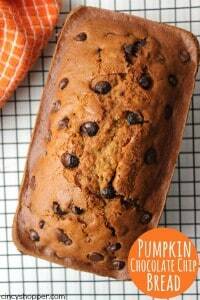 This super simple Pumpkin Chocolate Chip Bread will make for a perfect fall breakfast or dessert. 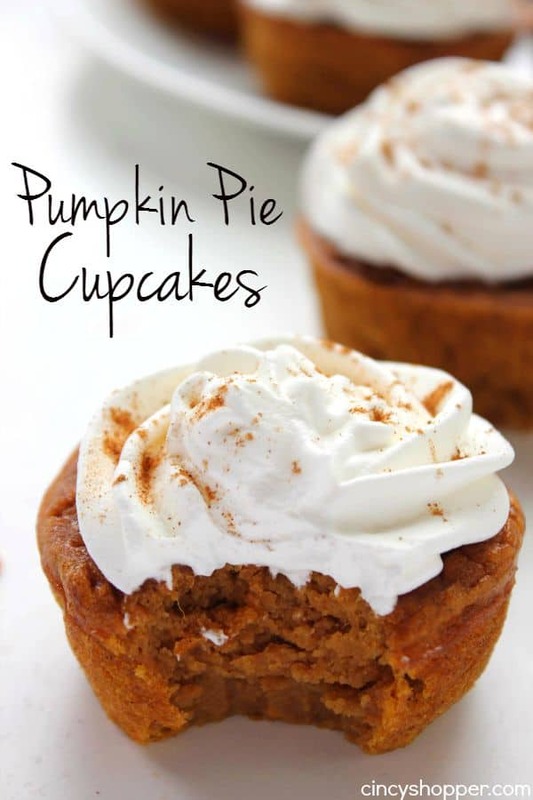 You will not only find it quick and easy to make but will also find awesome pumpkin flavors. 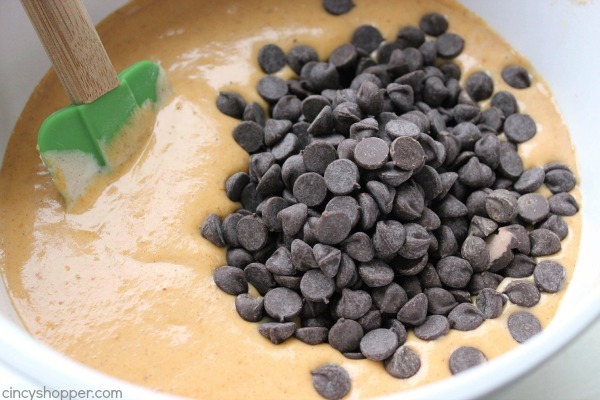 Lots of chocolate chips added in for additional sweetness. Pumpkin and chocolate go so well together. After making my kiddos their Pumpkin Chocolate Chip Pancake Bites last weekend, I could not help but think of myself. 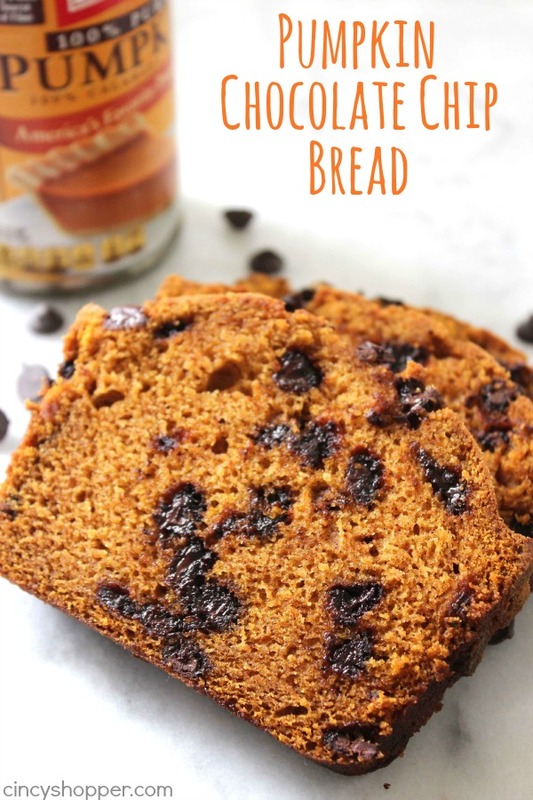 I love breads for breakfast and dessert during the fall months. I like to heat up a slice to enjoy with my coffee. I made the most perfect Apple Cinnamon Cream Cheese Stuffed Bread and I remembered how much I love breads in the fall. 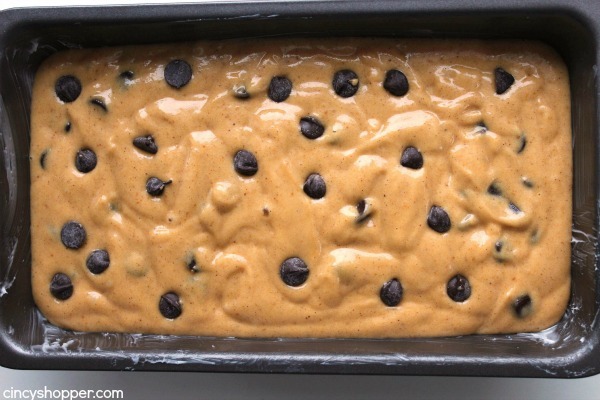 Quick breads are so easy to whip up and toss in the oven on a chilly day. The house gets nice and warm and the scent of fall invades the house. Gotta love it! 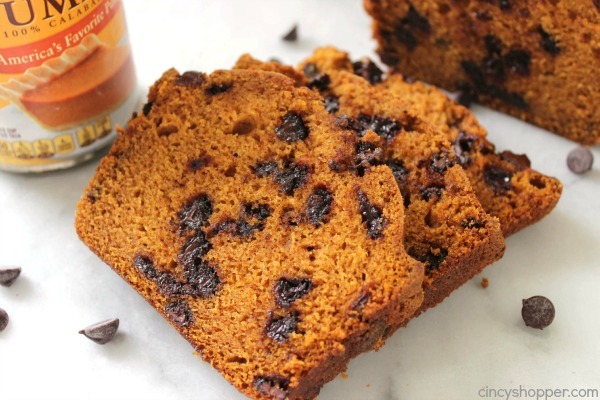 This pumpkin bread is so super simple. Since I loaded in the chocolate chips, the kiddos decided that they thought they might like my bread. I was hoping they wouldn’t so that I could enjoy this loaf mostly for myself. No such luck, they really liked it and polished off most of my loaf, ha ha. 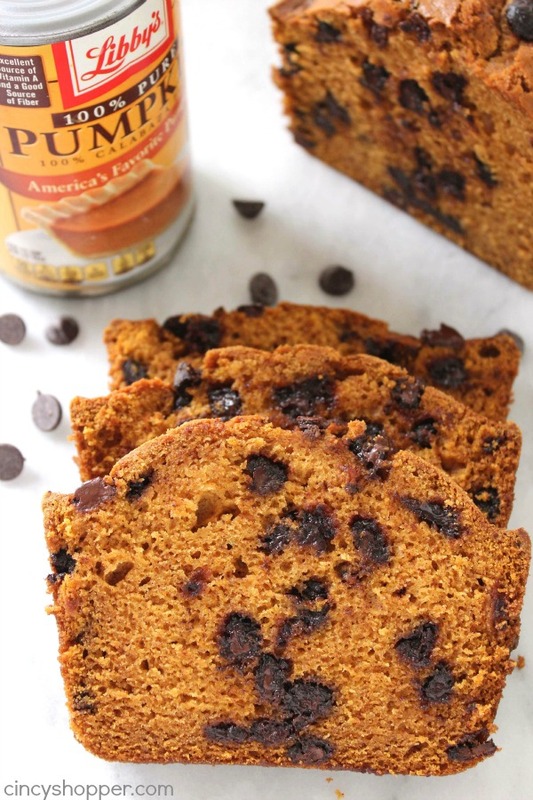 Luckily during the fall months, I keep a nice stock of canned pumpkin in my pantry so I can make another loaf of Pumpkin bread. I might have to leave out the chocolate chips if I care to have any leftovers. 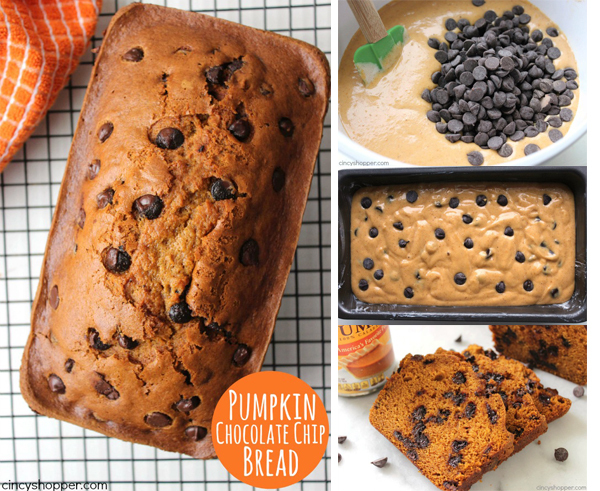 If you keep pumpkin and chocolate chips on hand, you will most likely have everything you need to make this super yummy Pumpkin Chocolate Chip Bread. Since it requires few ingredients, you will find that it comes together quite quickly. Your house can be smelling like fall in no time at all. 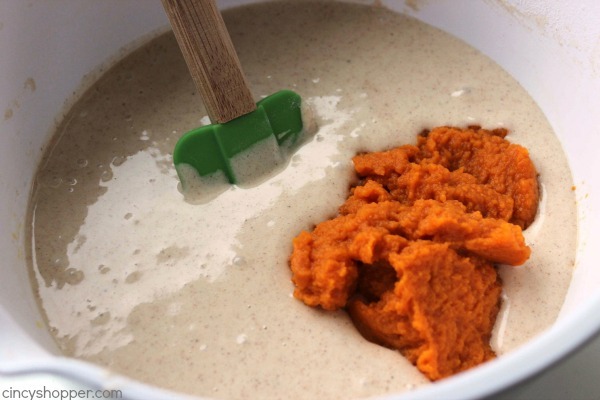 Whisk together flour, baking soda, salt and pumpkin pie spice. Set aside. 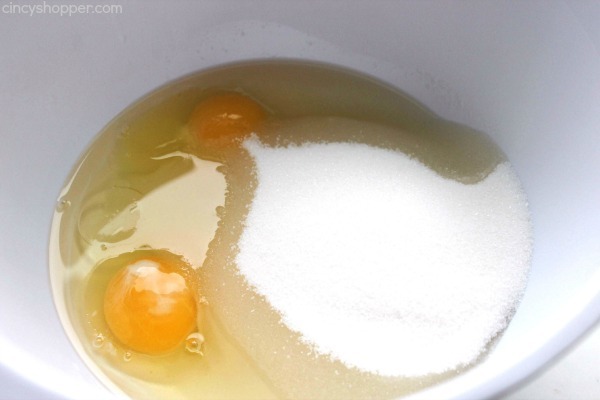 Beat together sugar, oil and eggs. 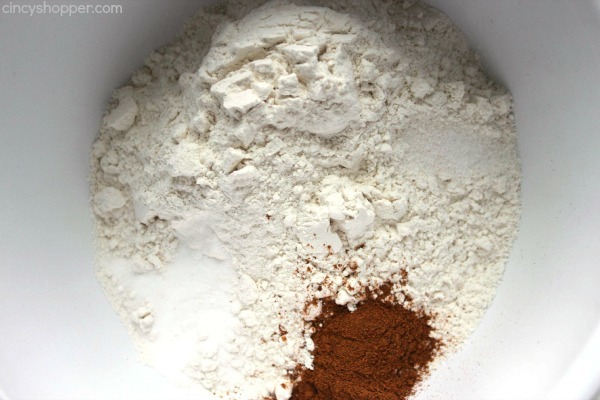 Gradually add dry ingredients to egg mixture, beating well. Periodically add the water and continue beating. 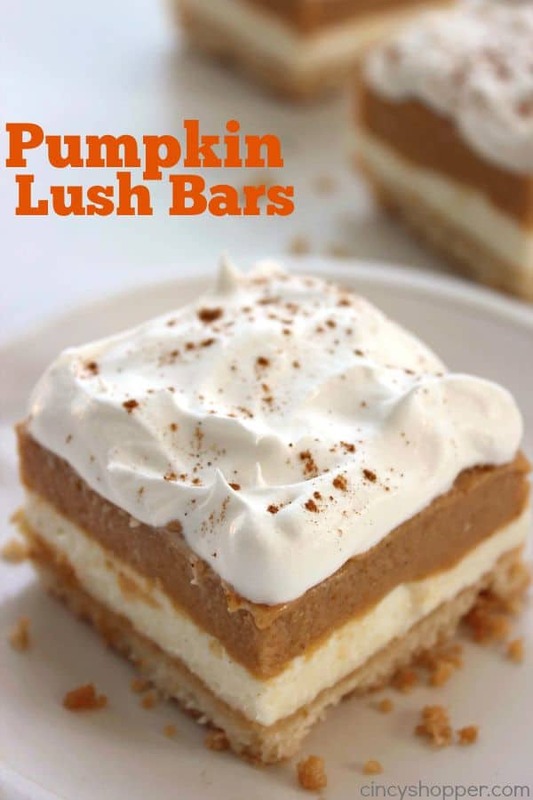 Add pumpkin puree and beat to mix well. Bake for 55 minutes, or until a toothpick inserted in the middle comes out clean. Remove from pan and allow to cool completely on wire rack. 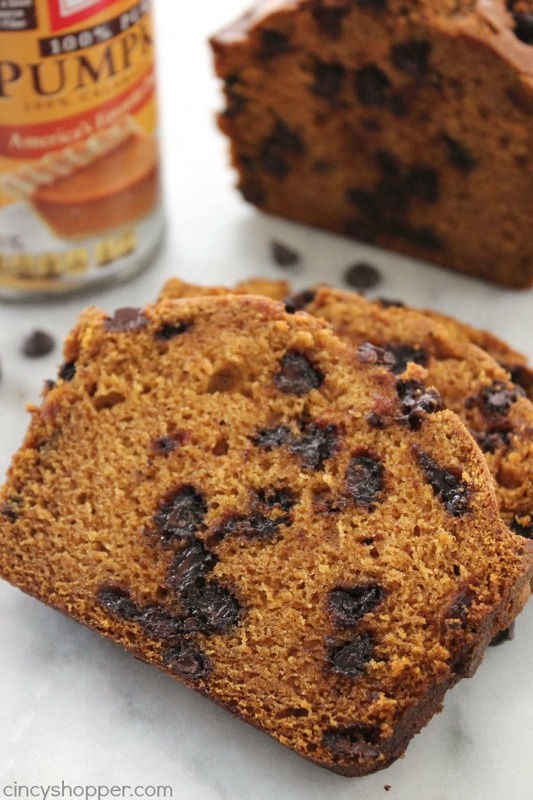 Do you have a favorite fall quick bread recipe? This loaf was filled with great pumpkin and spice. YUM! 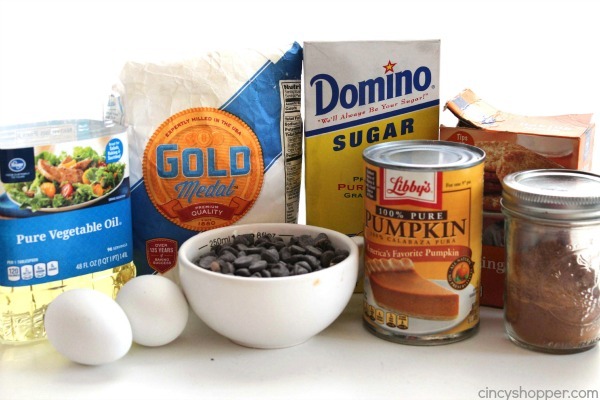 Looking for other great Pumpkin recipes? 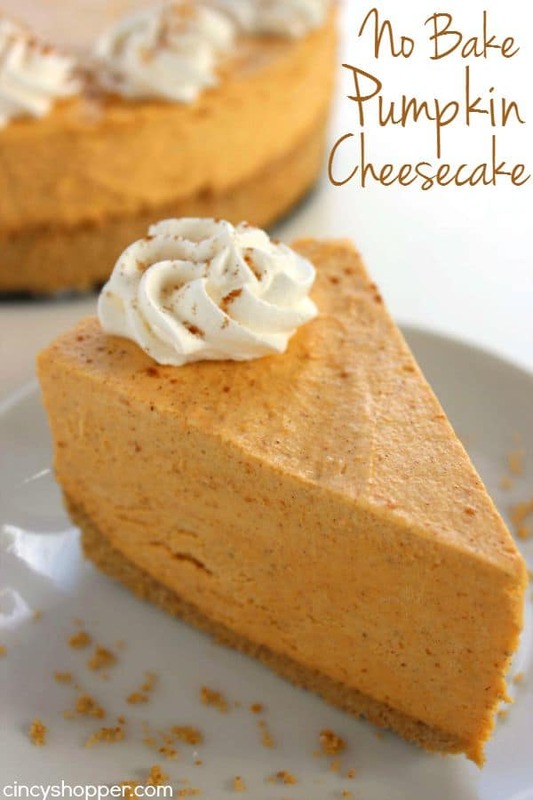 Be sure to see some of these other recipes that I have shared.. 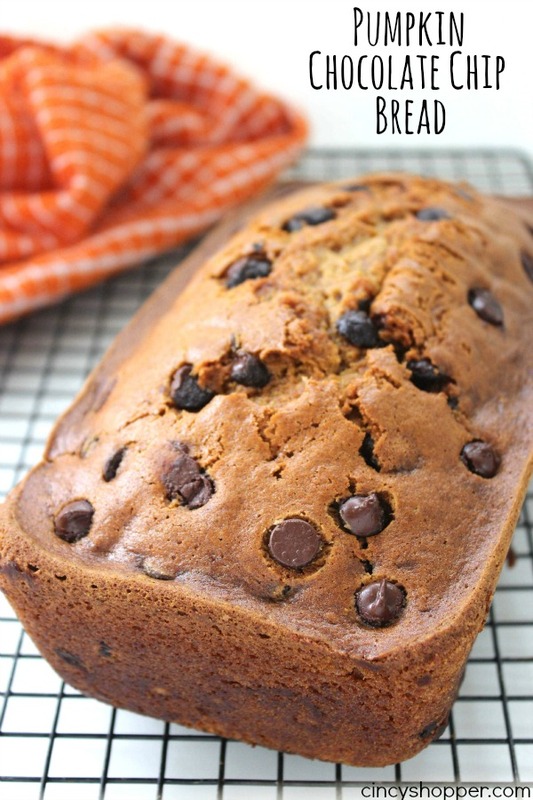 I love pumpkin everything and this pumpkin bread looks extremely delicious. Thanks for linking up to Wonderful Wednesday blog hop. sharing! Chocolate chips and chopped pecans and it was yummy! !